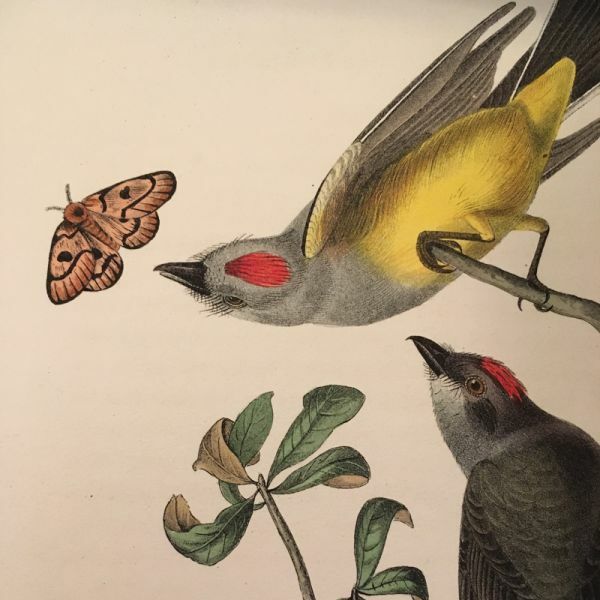 Description: Drawing from the Wakefield Estate’s own octavo edition of Audubon’s work, Audubon re-searcher Jess Clay will discuss the creation and distribution of John James Audubon’s Birds of America, and its subsequent impact on the United States and 19th-century natural history. The lecture complements and builds upon the exhibition of the collection, a set of hand-colored litho-graphs from the 1840s, which will be held at the Wakefield Estate, 1465 Brush Hill Road in Mil-ton, May 2-4, 11am-3pm daily. By understanding Audubon’s life and artistic process alongside the personal underpinnings and political implications of the octavo edition, a new conception of the artist and his world emerges – one in which the man comes of age alongside his nation, and sets in motion a host of historical events and movements to come. A graduate of Harvard College, Mr. Clay’s interest in John James Audubon and ornithology has taken him from rare book libraries to the Costa Rican rain forest. During a fellowship at Har-vard’s Houghton Library, he conducted extensive research into the life and works of Audubon. His work at Houghton centered around Audubon’s literary and artistic engagements with Ro-manticism, and included the curation of a public exhibition, “Sublime and Manifest: The Ameri-can Romanticism of John James Audubon.” In his senior thesis, Words of America: John James Audubon and the American Exceptionalism of Ornithological Biography, Mr. Clay explored Audubon’s oeuvre as a nationalist performance and as an early work of American artistic excep-tionalism. Born and raised in Texas, Mr. Clay currently resides in Boston."